RUMACCC is involved in interdisciplinary research with a focus on healthcare communication, undertaken in collaboration with health professionals and medical researchers. On 10 December 2018, RUMACCC - in conjunction with the Department of Medical Education, the Centre for Stem Cell Systems and the Centre for Integrated Critical Care - hosted a symposium which brought together interdisciplinary researchers, clinicians, and educators to discuss aspects of communication for healthcare in the 21st century. Clinical research plays an important role in improving outcomes for older patients and provides direct benefits to participants. To participate in clinical research, informed consent is required where patients acknowledge they have understood all dimensions of their involvement. However, research information is often given in highly complex written documents. This not only excludes large sections of our community due to cultural, linguistic, and literacy barriers but also poses scientific challenges as trial data are not representative of the target populations. The CALDER project addresses this problem by exploring the development of a simple, robust, cost effective and accessible method of delivering culturally and linguistically appropriate research information to patients and their families. Access to accurate and trusted information about pregnancy and to related health services is vital for safe and successful pregnancies. This can be challenging particularly for women (and their families) new to the Australian health system or from socioeconomically, culturally and linguistically diverse backgrounds. The We-HELP project aims to produce a prototype web-app, which efficiently disseminates patient-centred information that is easily accessible and culturally and linguistically appropriate. Apart from RUMACCC researchers, the team includes clinicians and medical researchers from Western Health and The University of Melbourne and information technology experts. 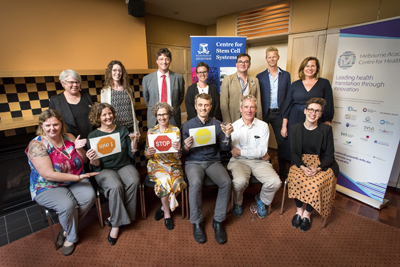 Smith, W., G. Wadley, O. Daly, M. Webb, Jo-ann Hughson, John Hajek, Anna Parker and David Story (2017), "Designing an app for pregnancy care for a culturally and linguistically diverse community," in Proceedings of the 29th Australian Conference on Human-Computer Interaction (OzCHI 2017), Brisbane November 2017, 10 pp.